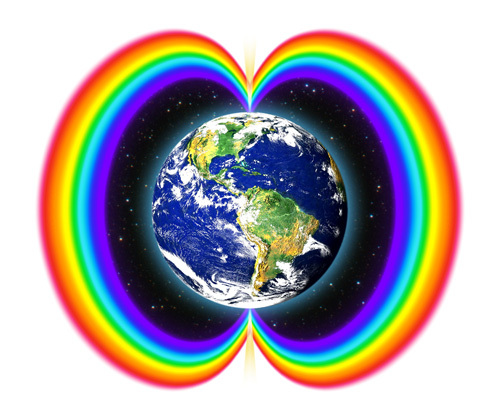 Join in the Global Activation of the Rainbow Bridge around the Earth! 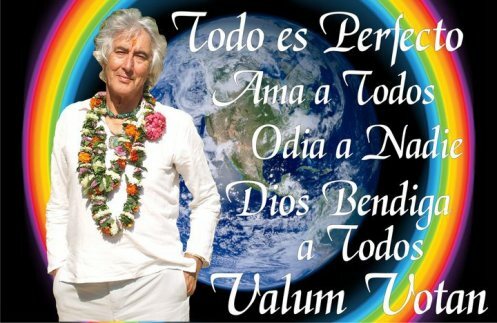 Join in the Global Activation of The Rainbow Bridge! 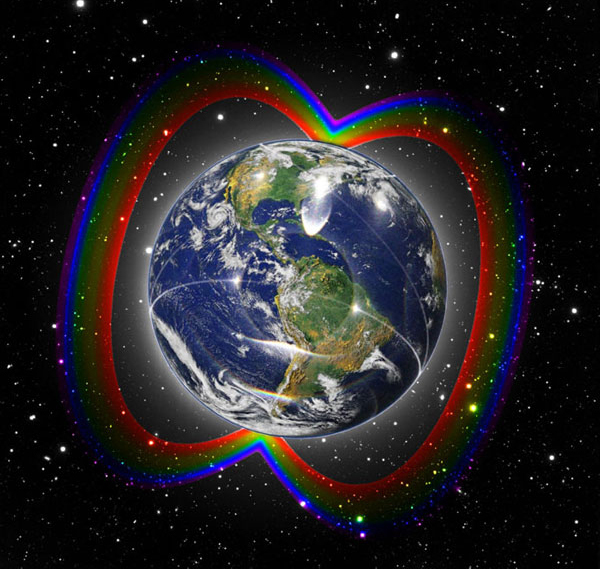 The Rainbow Bridge Around Earth signifies love for our living Earth, and our determination to co-create a positive future for humanity and our planet ~ elevating ourselves into new frontiers of our human potential. Transcending all boundaries of nation, culture, race, religion, and belief systems, this image symbolizes unity, unlimited possibilities, triumphant positivity, bright futures, and the miracle of life. This powerful image shines as a guiding emblem of the New Era, reminding us of our commitment to pioneer new ways to live on Planet Earth, in Harmony... opening to new possibilities! 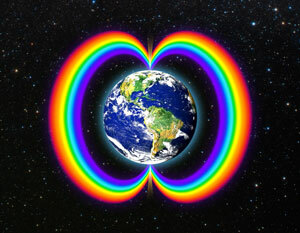 You are invited to join in the Global Synchronization of the Rainbow Bridge! Every 7 days we activate a Rainbow Bridge Meditation. This will always be on the *heart-chakra days of the Galactic Calendar, which currently corresponds to every Wednesday. The intention of this collective visualization is to open ourselves to new positive realities for our Planet, and unify our hearts and minds with each other, and with the Mind of Earth, so that we may work as One for the highest good of the Whole of Life. The Rainbow invokes the full spectrum of light/information to illuminate our shared journey, and its imagery conjures unity, wholeness, transcendence, possibility, magic, and divine benevolence. This unifying focus is helping us open to the new energies coming in during these monumental times, and is strengthening our telepathic connection to the Earth, and to each other as a conscious planetary network. It is called a "Rainbow Bridge" because it is understood as bridging the Aurora Borealis lights from the North Pole with the Aurora Australis lights of the South Pole, encircling the Earth as a "World Protection Belt." These charged particles that generate the Auroras originate in the magnetosphere and solar wind and, on Earth, are directed by the Earth's magnetic field into the atmosphere. Here is a stunning video from NASA's International Space Station showing Northern and Southern Lights as they gloriously light up our Earth! "Before the meditation it is good to take a few moments to clear your mind, dissolving all thoughts as they arise. Also focus on feeling love arise in your heart. When you feel your mind clear, then begin the visualization. 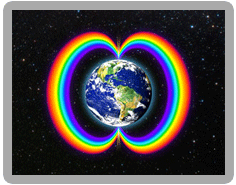 Now visualize a great stream of multicolored plasma-filled light emanating from your heart core and flowing along the central axis toward both of Earth’s poles, shooting out from them, to become two rainbow bands 180 degrees apart. As Earth revolves on its axis, this rainbow bridge remains steady and constant, unmoving. Feel the two streams of rainbow light rushing through your central column, shooting out from above your head and beneath your feet to create a rainbow bridge around your body. Now you and the rainbow bridge are one. The rainbow bridge of world peace is real. Visualized by enough people in a telepathic wave of love the rainbow bridge will become a reality." Please spread the word and invite your communities to tune in and synchronize with these Global Rainbow Bridge Meditations! "Though a cadre of dedicated souls will actually be carrying out the scientific experiment with all its technicalities, virtually anybody can practice the circumpolar rainbow bridge meditation, which merely entails visualizing the rainbow bridge around the earth and placing it in your heart." 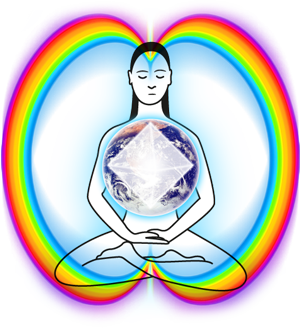 In addition to promoting the Rainbow Bridge Meditations every 7 days, our aim is to infuse this powerful symbol into our collective consciousness and global culture! Let us all keep this image alive in our consciousness, shining brightly in our homes and hearts! "The Rainbow Bridge already exists... We just have to raise our vibration to see it." 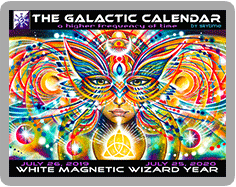 "This is without a doubt the most beautiful and high-energy calendar on the planet." "Thank you for your absolutely amazing calendar! I've been using them for 2 years now, and they really changed my life!" "This calendar is breathtaking, the images are absolutely stunning... Thank you beautiful souls for contributing with such passion, art, and commitment to our evolutionary process." "This year's calendar is supercalifragilisticexpealidocious! Wonderful! I am really enjoying it!" "Thank you for your continued work! We rely on our calendars daily!" "This calendar is phenomenal... so streamlined. Wow wow wow wow! You never cease to amaze me to my core." "For those interested in furthering their spiritual growth, I highly recommend SkyTime's calendar as a way to free your mind into the higher frequencies that are available on the planet right now." "Your calendar is so helpful and laid out so well! We learn something new each time we open it." "A lucid, artful presentation of fascinating information... the foundational tool for living and learning the science of time... wonderful explanations, and a beautiful design for daily awareness." "There is so much positive energy in the calendar you produce - it comes to life just when you need it!" "The soul of the universe speaks to me each time I interact with my calendar." "It is a priceless tool for self reflection and evolution. I am very thankful for it!" "This calendar is awesome!!! Thank you so much for your fabulous contribution to our planet's well-being!" "Loving the Calendar each and everyday. WHAT A TOOL! What a gift!" "Thank you for this wonderful addition to my life!" "Your calendars are always so beautiful. 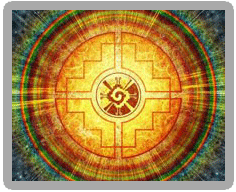 The artwork is galactivated and the wisdom is shared with compassionate understanding." "I've been using your calendars for the past 10 years. This has been a tremendous resource, and I am so grateful you have provided this." "I have been working with The Galactic Calendar since 1992. It's a remarkable tool, beyond measure." "SkyTime has an enchanting way of downloading galactic wisdom with simplicity, clarity and artistry." "Thanks sooo much. Your calendar has indeed, been a blessing to me." "Thank you for sharing the magic, mystery and magnificient art of the Galactic Calendars!" "Thank you for sharing your magical gifts with so many and spreading the restorative forces of 13:20!" "SkyTime's Calendar is professional, well thought out, and inspiring!" "Each year SkyTime produces a calendar that helps expand one's consciousness so that one can assist humanity into the imminent new world." Explore the magic of your unique "Divine Design"
Intiana of Starseeds2020 blends Galactic Dreamspell Astrology with intuitive wisdom and psychic insight. She helps you activate the power of your personal Galactic Signature and enliven a deeper connection with your own divine spirit and destiny! "You are not IN the Universe. You ARE the Universe, which IN YOU is awakening, experiencing itself, becoming conscious." "We are multi-dimensionl beings, remembering our place amongst the stars..."
"Our mind is part of the Universal Mind. Each mind is connected with every other mind; and each mind, wherever it is located is connected with the whole world and cosmos." Connect with Eden Sky ~ Galactic Culture Visionary! "Thank you again Eden Sky. You are a true and heartfelt keeper of the time and tides of the mind and heart. Bless you for loving your path, and for being an inspiration to others. Bless you also for being such an expressor of beauty and light." Get on the Galactic Mailing List! Copyright 2016 by SkyTime. All Rights Reserved.